A New Blessing Box for Prayer Warriors: Effectual Fervent Prayers accomplish much! My heart is so burdened for what is going on in the world today. 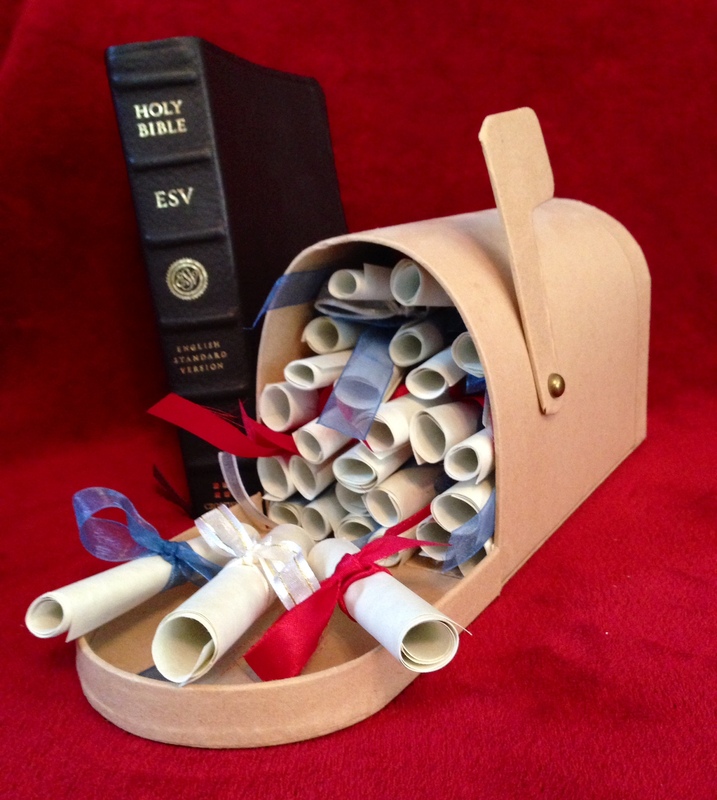 I wanted to share with you a new type of Blessing Box, except that this one is a prayer box. It is filled with scriptures to pray for three things: Deliverance and courage for Christians right now facing severe persecution around the world, Peace and safety for Jerusalem facing relentless attacks from terrorist, and Revival in our own country to turn our hearts and our leader’s hearts back to God. This box is filled with over 40 scripture scrolls. The ones tied in WHITE ribbons are verses to pray for courage and safety for our fellow believers who are being severely persecuted around the world. The little scrolls tied in BLUE ribbons are verses to pray for the peace and safety of Israel. The ones tied with RED ribbons are scriptures to pray for revival in our country. Christians are never meant to be idle. There is something we can do every day all day long and that is call upon the one who is Sovereign, Mighty to Save, our Defender, our Redeemer, our Deliverer, our Strong Tower who answers us in our time of need. I would encourage you to pray. Here is a link to print all of these verses and instructions on how to make this little prayer box if you would like to make one for yourself or for a friend. Maybe you can enlist a fellow prayer partner and commit to pray consistently for at least a month for such a time as this. Effectual fervent prayer accomplishes much! Let’s call on Him and wait in eager expectation, Psalm 5.